After period of silence, June was come quiet and went quiet, We welcome the July, believe it is a new beginning, after each peak is a starting point, standing on the every end to improve that it will be another world after every end. With this belief to insist on our dreams. 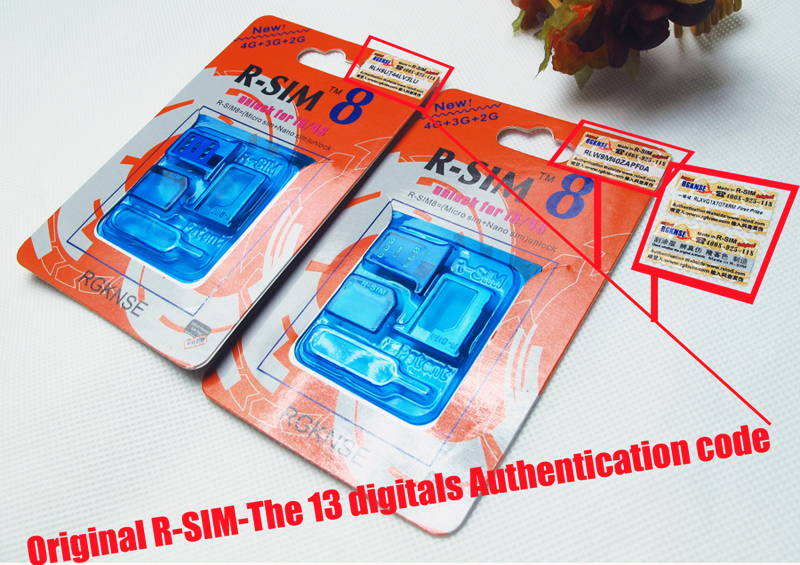 R-SIM 8 is hot selling, welcome to cooperate, with the advantage of competitive price and high quality. 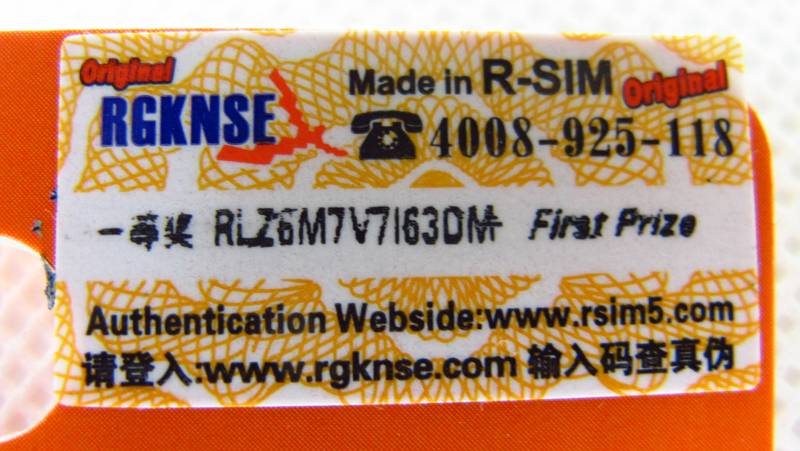 PS: The newest thin film R-SIM cards will be launched soon, It will change the history of unlock sim cards in the world, Let’s to be expected. 1. Please show the prize information to your local distributor. 3. 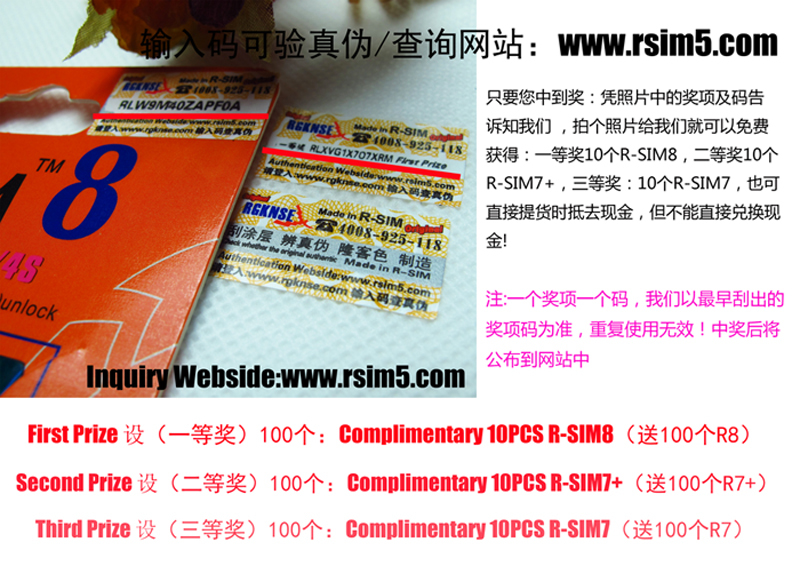 Checking the prize information, one authentication code can be used only one time.